I bet some sooner or later some trend-conscious wine connoisseur will describe Goriška Brda as a “concept wine store” – not that one necessarily understands what the expression means, but it sounds extremely fancy, so it must be something cool. I would simply describe it as a place where the process of buying wine becomes an unforgettable experience. Usually, a wine shopping trip would involve some planning – surfing the internet for the information on which winemakers to visit depending on your wine preferences, checking their location, address and availability, and then making some appointments. If you somehow fail to do your homework and only remember that you could in fact use a case or two to fill your wine storage once already in Brda, do not despair. You can try your luck and basically just show up at any of the winemakers you fancy. Normally I have serious reservations about showing up even at my friends’ homes unannounced, not to mention homes of people I’ve never met in my life. But here nobody seems to mind and you are always welcomed. We’ve done this a couple of times and were immediately invited in, offered different wines to taste. We also never left without buying at least a couple of bottles and a feeling we’ve just made some new friends. It’s easy to strike a conversation over a glass of wine with the person responsible for making it especially as they are extremely passionate about their craftsmanship. Can you think of a better way to learn about wine? I’ve been to Brda numerous times from my early childhood on yet the beauty of this tiny Slovenian region still fascinates me every single time regardless of the period. 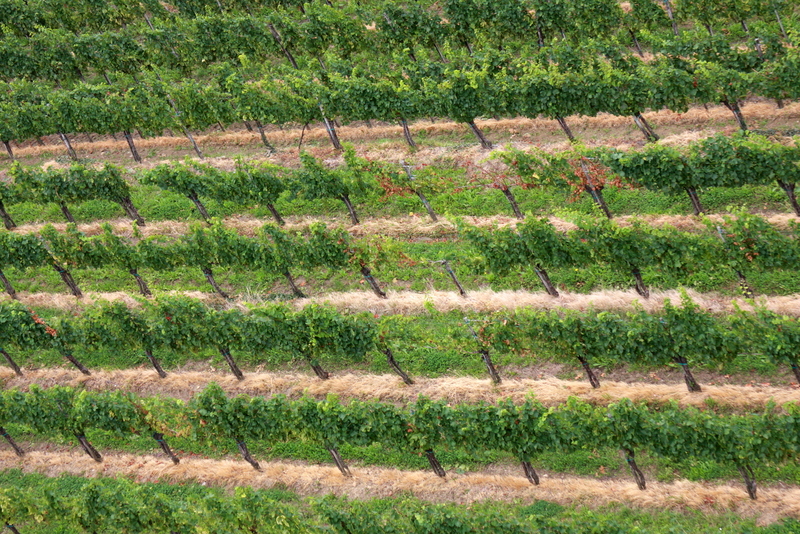 Imagine rolling hills covered with rows and rows of vines stretching out as far your eyes can see. Now add quaint old villages perched on every second hilltop competing for the attention of photographers and admiration of visitors. If that image doesn’t soothe any stressed mind, I don’t know what does. If you’re looking for the picture-perfect Brda village, the medieval Šmartno clearly tops the list. The position on top of a hill was strategically important throughout its history. To protect the settlement from invaders a wall was built surrounding it. Traditional houses are huddled together around the church of St Martin, the namesake of the village, and are lovingly restored. 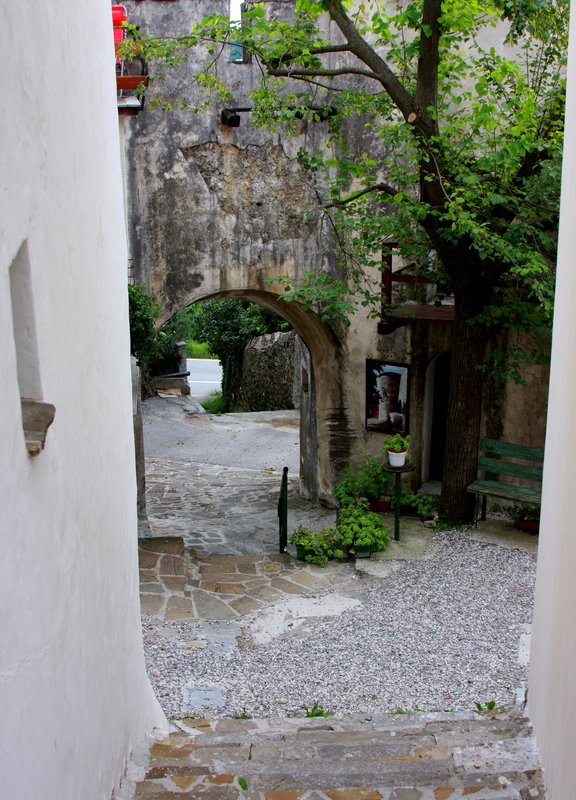 Strolling through the cobbled streets of the village feels like a walk back in time. Definitely worth a visit! Brda were long a forgotten part of Slovenia. After the WWII this region was unnaturally divided between Italy and (at that time) Yugoslavia and the main traffic roads were simply cut away. In terms of tourism this corner of the country was practically undiscovered and accommodations were scarce and unattractive. It was only after Slovenia joined the EU when the region started to reap the benefits of seamless border crossings and dipping its toes in tourism. Today, more and more farms are being turned into pretty B&Bs and tourism farms and I am sincerely happy for their sudden popularity with travellers from all over the world. 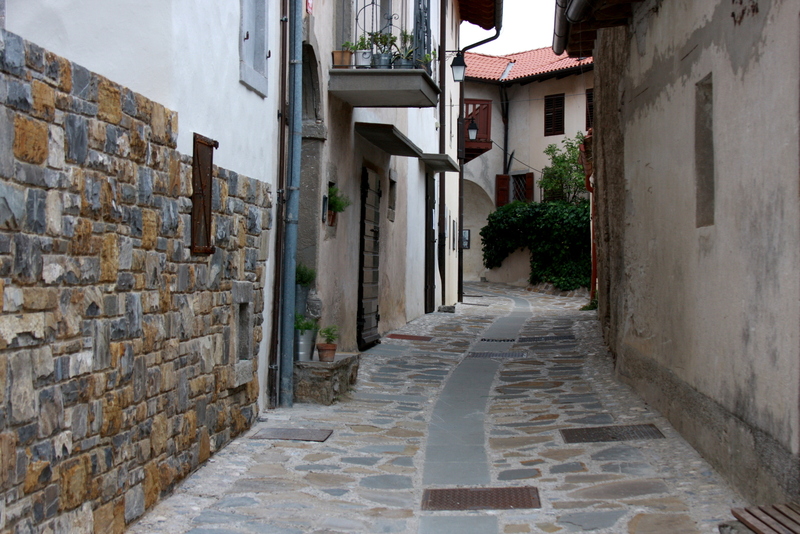 Staying at one of these places is what completes your visit to Brda. Usually they either produce their own wine and you get a complimentary tour of the cellar with wine tasting included, or they have a restaurant that serves some delicious regional food. If you’re lucky you get a combination of both as is the case at the Kabaj-Morel farm where we stayed during our recent visit. The owners are a French-Slovenian couple, Jean-Michel in charge of wine production and his wife Katja “the boss of the house and kitchen” as he introduces her. 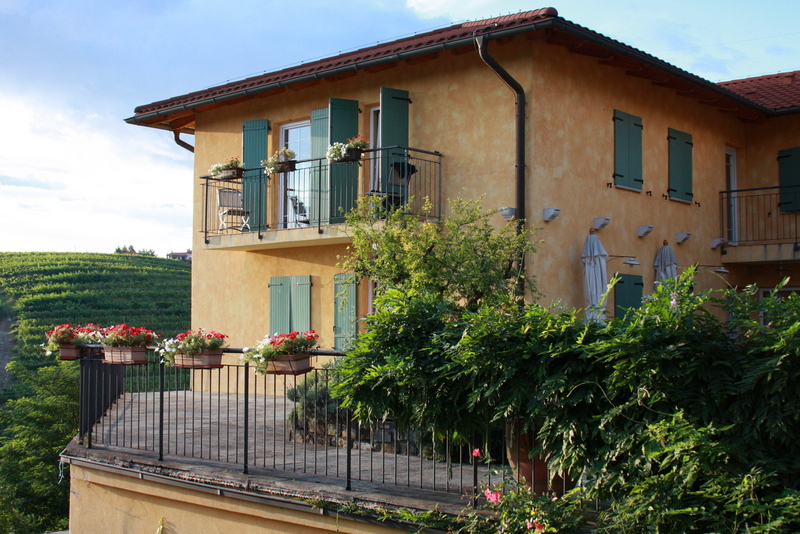 They built a lovely Mediterranean style house with six rooms overlooking the vineyards (what else). Jean-Michel is somewhat famous in Slovenia for producing wines stored in amphoras, following a method originating from Georgia. The wines are an acquired taste, but definitely worth trying. And Jean-Michel is really enthusiastic about his work, so you can easily spend an hour in his cellar listening to his plans and ideas. Over a glass or two of wine, of course (nobody really counts them here). If you’ve never heard of Brda before: Allow me first to say, I feel sorry for you. Goriška Brda (or simply just Brda) is a region in the westernmost part of Slovenia, on the border to Italy. 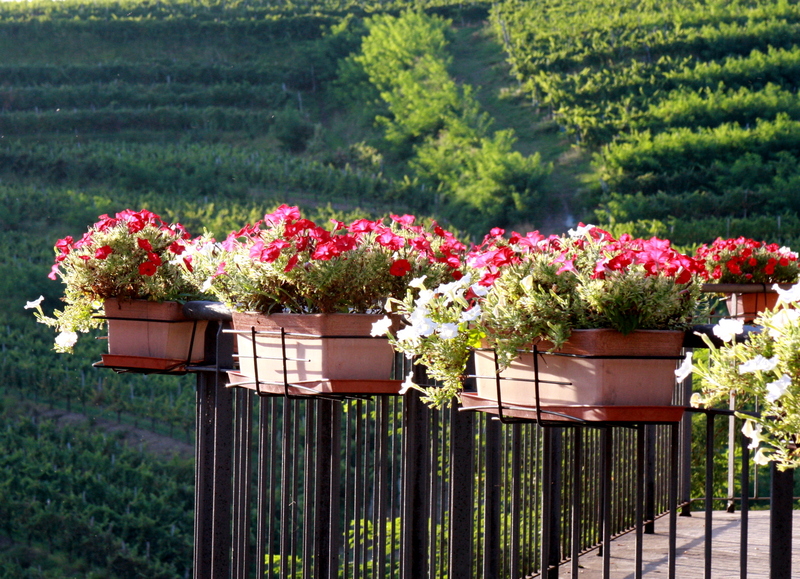 The part reaching over to Friuli in Italy is called Collio. 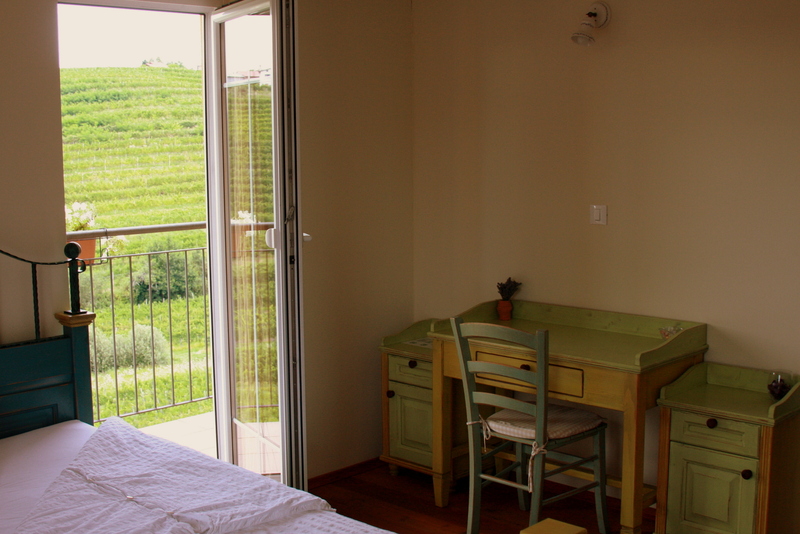 It is one of the most prominent wine-producing regions in Slovenia enjoying mild climate with plenty sunny days. The region is easily accessible from Ljubljana or Venice (1 ½ hour drive by car each) and an absolute must-see for any wine and food lover. If you want to try as many different wines as possible in just one evening: One option is the St Martin’s fest in November. But if you’re visiting in mid-August don’t miss the celebration of St Rocco in Kozana. 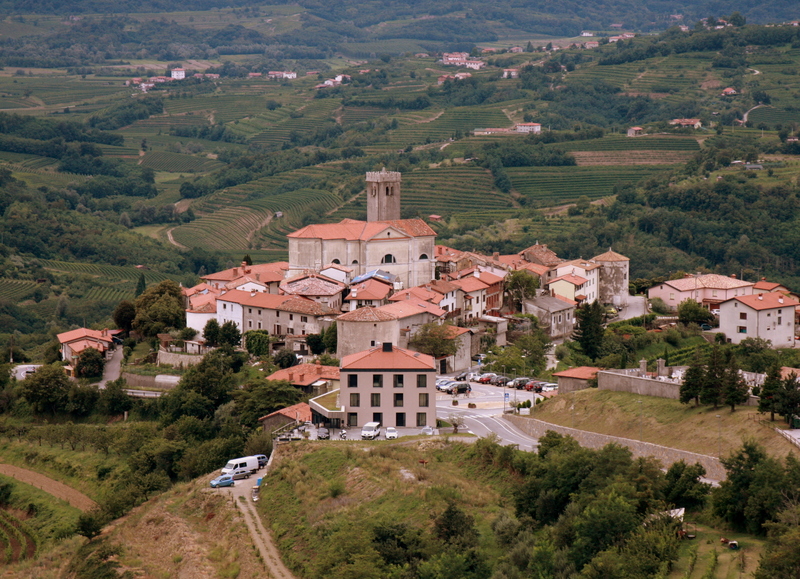 This tiny village of a couple hundred souls boasts no less than 14 winemakers, probably even more. On 16 August there is a fest in the village starting with mass in the St Rocco church, followed by a party where you can taste wines of all 14 (or more) winemakers for just 1.5 EUR per glass. As a non-local you’ll probably stand out from the crowd as we did, but rest assured that you will personally meet not only all the winemakers but also their families and friends. I told you before, winemakers are fun to hang out with. So, what are you waiting? Start planning! Wonderful post. How did you get to know about Brda? I really feel ashamed, but although I am Slovenian, i never really visited Brda. I really feel bad, that I have to read other blogs to get inspired to get to explore my own country (thanks for that). Did you visit any other places in Slovenia? Ha, ha, I am Slovenian too 🙂 What can I say, go as soon as you can, it’s beautiful!